This Tuesday I received a package on my doorstep for which I was filled with both anticipation and trepidation. Inside were the last words from Terry Pratchett I would ever read. I’ve been a fan of Pratchett since I first heard of the Discworld novels the year I graduated from college. I’ve watched as the world of the Disc grew and changed – the characters aged, technology advanced, and the politics of the Disc became more and more defined. The most recent Discworld novels, written since Terry Pratchett was diagnosed with Alzheimer’s, have felt like he was slowly saying goodbye. Snuff was definitively the last of the books in The Watch sub-series, and Raising Steam gave the impression of a world rapidly evolving past the era for the stories fans have come to love. Even though Sir Pratchett did have some more stories he wanted tell in the Disc, he knew his time in it was growing short. This brings us to The Shepherd’s Crown, which brings the series to it’s unfortunate end. It centers around a young witch named Tiffany Aching, and her rising star among the witch community. I can’t comment much on the story without giving away some major plot points, but I do want to share some thoughts on the novel as a whole. First, this was an excellent choice for the final Discworld novel. As I mentioned above, Raising Steam evoked a sense of the world moving beyond the era of the Discworld stories. While the effects of Raising Steam are felt in this novel, the nature of the witches allowed Pratchett to visit the Disc the way fans best remember it. The witches of the Disc force the world to bend to them, not the other way around. Their unbending nature allowed the novel to be about people, rather than events, and so felt like a joyous throwback. At times it did feel a bit too whirlwind, and some characters appeared in obvious “last time” cameos which did little to advance the plot, but it fit the feel of the story. Tiffany Aching’s character arc was a bit uneven in the novel, but ends up being quite satisfying. For the first third of the story she seemed to regress to a younger version of herself, but it didn’t last long. By the end of the tale she is certainly a much more mature character, and ready to work into the future (which is already changing the nature of what a “witch” is on the Disc). Her companions, the Nac Mac Feagle, are also present but they are shifted more toward the background in the tale than previous Tiffany Aching novels. 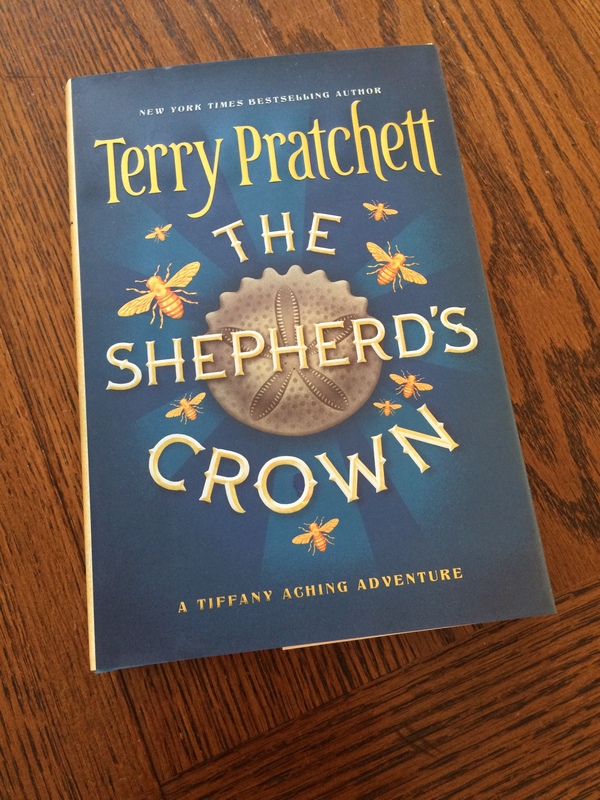 Tiffany, in The Shepherd’s Crown, isn’t a little girl looking to people to protect her 1. She is, rather, a strong and mature young woman who knows her strengths and learns to accept help 2. By the end of the story I did feel as though the characters didn’t need the readers any more 3. They were looking to the future, and we were part of their past. Still, it was fun to see the Disc in all it’s glory one more time. Rest in Peace, Terry Pratchett – and thanks. Prev I gave at the office?